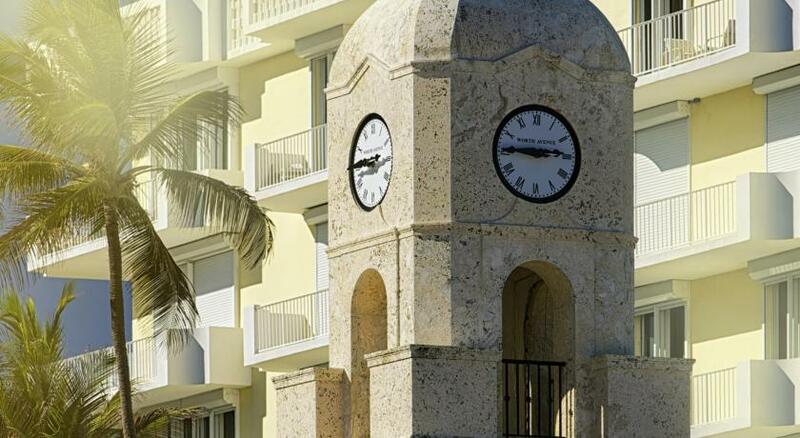 Lock in a great price for The Colony Hotel – rated 9 by recent guests! 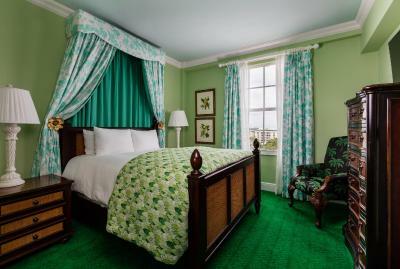 The bedrooms were so beautiful. 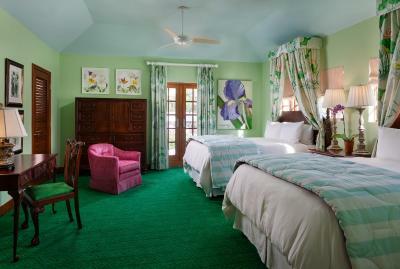 Bright colors (ours was all green) and comfortable beds. Bathroom a bit small. And food is excellent! The suv courtesy car,the bikes and the bell staff. the staff was very accommodating and caring. Traveling alone, I felt safe and well looked after. We loved this hotel! The syle is unique, the island is so cute and quiet, it is delgihtful to walk or ride all the area. Just steps fron the beach, the hotel has sort of beach service incluiding chairs and umbrellas! The pool area is very nice and we had an amazing brunch in the terrace overlooking the pool. 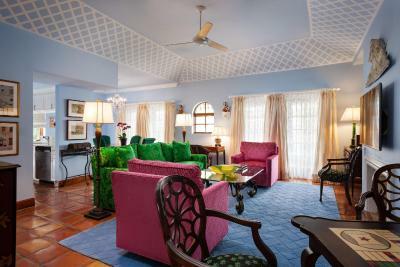 Rooms are wonderful, very colourful decorated but nice indeed! The old historic feel felt like I had gone back in time. 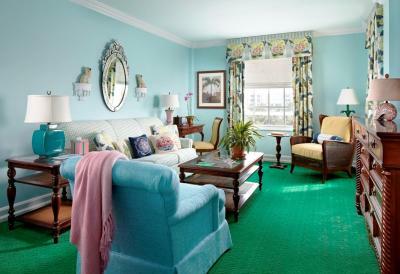 The styling of the hotel was adorable, unique, and perfect for Palm Beach! Location, location, location. Fantastic staff. Most comfortable mattress and bedding. Great towels. I'm a boutique kinda gal and this property ticks the most boxes. Breakfast is amazing, staff incredibly attentive, small but clean rooms, complimentary bikes are awesome, location is ideal. They have very comfortable beds, good pillows and fine linens. The setting for breakfast at the pool is delightful, if there are not a whole lot of people about..... The young men at the outside reception are very nice and friendly. They take you to nearby places, if needed. They have Netflix available. You have a feeling of the tropics because of the decor. The rooms are very comfortable but a little dated. The bed was incredibly comfortable and the Frette sheets made it perfect. I travel continuously and have never stayed in a hotel with friendlier staff who care so much about pleasing their guests. The room service food was excellent. Free Smart TV w/ free WiFi Netflix and free parking too! The entire hotel is immaculate and very quiet. Everything was absolutely perfect and I can’t wait to come back! Location was perfect--a short walk to the beach in one direction, and the shopping district an equally short walk, in the other. Really loved the whole vibe of the hotel-- a classic, from the Polo bar and dining, to the colorful decor, the massive orchid display in the lobby, and the champagne offered on our arrival. 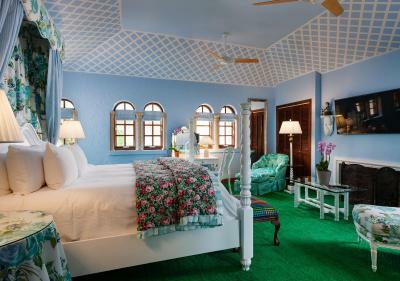 The beds were extremely comfortable, and the room had an ocean view-- limited, but delightful! The Colony Hotel This rating is a reflection of how the property compares to the industry standard when it comes to price, facilities and services available. It's based on a self-evaluation by the property. Use this rating to help choose your stay! 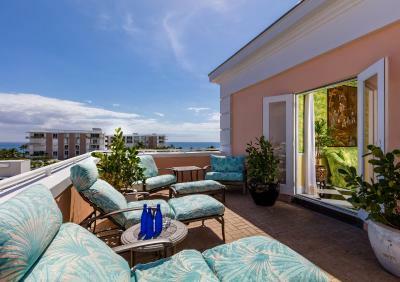 Located in Palm Beach, Florida, this colorful boutique hotel features an outdoor swimming pool and an on-site restaurant. It is opposite the beach and offers rooms with free WiFi access. An iPod docking station is provided in each room at The Colony Hotel. Free toiletries are also available. Some rooms have an ocean view or a pool view. 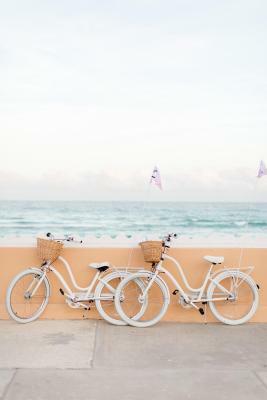 Bicycle rentals are available at The Colony Hotel Palm Beach, as is a business center with fax and photocopying facilities. Polo Steaks and Seafood is open for breakfast, lunch, and dinner. It offers a seafood brunch buffet on Sundays. Café 155 is open for breakfast and lunch and serves wraps, paninis, and breakfast sandwiches a la carte. 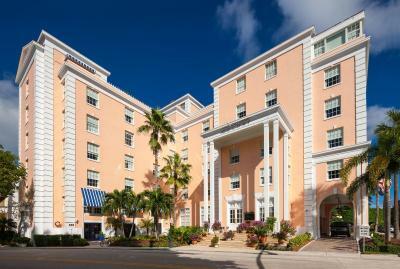 Palm Beach International Airport is just 10 minutes’ drive from this hotel. Guests will be 2.1 mi from Norton Museum of Art. 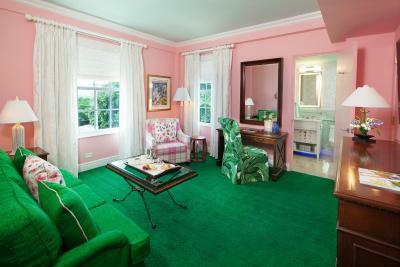 This property also has one of the top-rated locations in Palm Beach! Guests are happier about it compared to other properties in the area. When would you like to stay at The Colony Hotel? Private parking is available on site (reservation is not needed) and costs USD 26.75 per day. This triple room features a satellite TV, iPod dock and air conditioning. This double room includes a flat-screen smart TV, a safety deposit box, and complimentary toiletries. This double suite includes a flat-screen smart TV, a safety deposit box, and complimentary toiletries. 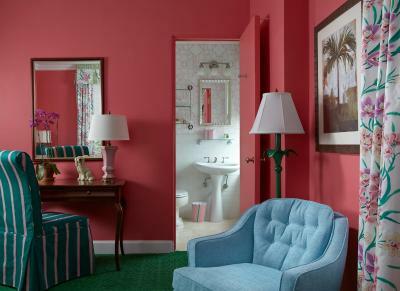 The junior suite features a separate living room and a private bathroom with marble floors. A flat-screen TV is also provided. This corner guestroom includes a flat-screen smart TV, a safety deposit box, and complimentary toiletries. This double room has a flat-screen TV, iPod dock and air conditioning. This double suite includes a flat-screen smart TV, a safety deposit box, and a living room with a sofa. House Rules The Colony Hotel takes special requests – add in the next step! The Colony Hotel accepts these cards and reserves the right to temporarily hold an amount prior to arrival. The room was disappointing. A bit noisy from the bathroom. For a junior suite, expensive, it was average at best. I was there 4 days and my room was cleaned only once! The car valet service and bikes were excellent. Poor service from bar and restaurant. Lack of compensation for closing the pool for 2 days. Old sheets and tired decor in the bedrooms. Green shaggy carpet. Our only sadness was the demise of the Royal Room which we only discovered for sure on our arrival. We have enjoyed several happy and entertaining evenings there before this our first stay. The prettiest hotel I have ever had the pleasure of staying in. Our room and every other area were a pleasure to spend time in and all the staff have been unfailingly welcoming and helpful. We look forward to returning having spent a very happy and relaxed 12 days here. Our only slight disappointment was the fact that we couldn't check into our hotel room until 4:00. I travel a lot and I find that exceptionally late. 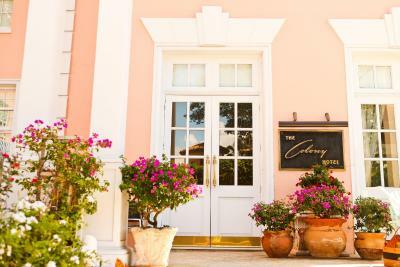 This is a beautiful quintessentially Palm Beach hotel.. It is tasteful, beautiful and comfortable. The pool, bar and restaurant are all excellent. 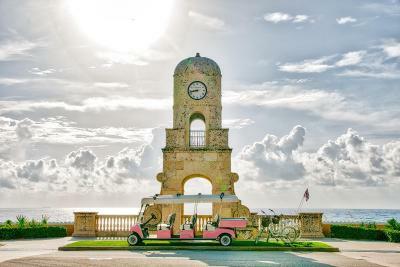 The shuttle service around Palm Beach is a really plus! We will definitely return! It wasn't as available to stuff as I thought. The staff, the hotel, friendliness of staff. Very friendly and helpful staff. Special shout out to Meaghan at the front desk! Pool area is lovely and the water temp was just right. Jazz trio playing in the restaurant were fabulous!!!!!! The doesn’t have a refrigerator. The amenities, the attention staff and location.